Mr Barnier has said this is vital if the UK and EU Parliaments are to have enough time to consider and vote on the proposals before the UK's scheduled departure on 29 March 2019. But some senior Tory Brexiteers are continuing to urge the PM to change course, saying proposals agreed by her cabinet in July - which would see the UK follow EU rules on trade in goods - will not be backed by Parliament. 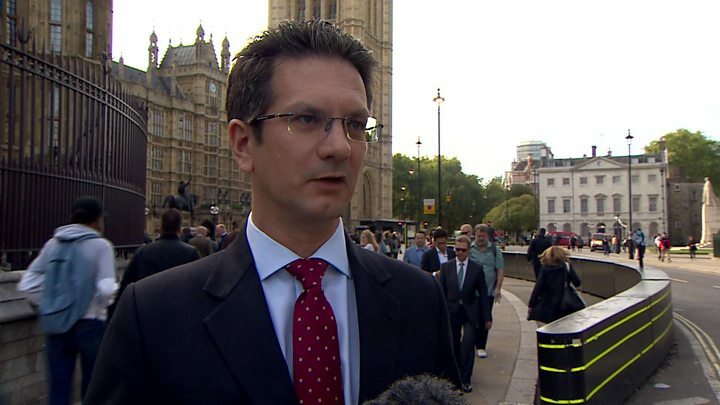 Mr Baker said the party risked a "catastrophic split" if the PM didn't rethink her approach, which he suggested many MPs - including some who backed Remain - thought was worse than staying in the EU as it would leave the UK without any say in its rules. 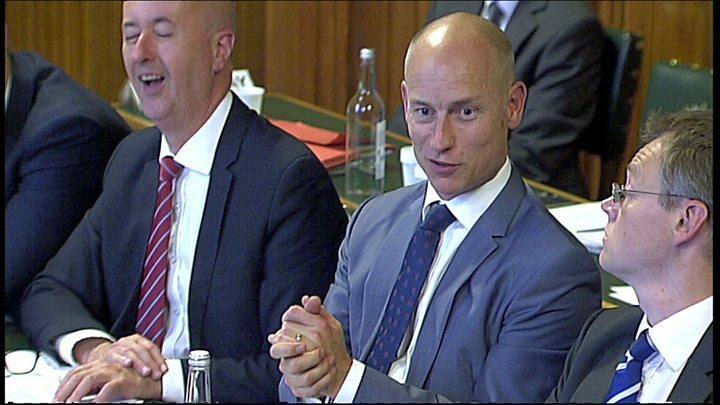 After meeting Mr Barnier last week, Brexiteer Jacob Rees-Mogg said the Frenchman's views were closer to his than those of the prime minister while Labour MP Stephen Kinnock claimed he told him and other MPs that, referring to the Chequers plan, "les propositions sont mortes" (the proposals are dead). But asked about this at the Bled Strategic Forum in Slovenia, Mr Barnier said this was not true. "I never said that, I don't think that. It is not my feeling." He described the Chequers plan as a "very important" document and suggested the EU was now "benchmarking" it against the mandate it had been given by the EU's 27 other members. "It is useful because it clearly defines what the wishes are for the UK for future relations." Mr Barnier said there were "many, many points of convergence" between the two sides, particularly over defence and security and a deal on the terms of withdrawal could be settled within six to eight weeks. But he warned that the UK's core proposals for trading relations after it leaves were a direct challenge to the founding principles of the EU and the integrity of the single market. "It is not possible to get freedom for goods without freedom for services, in particular for the movement of people," he said. 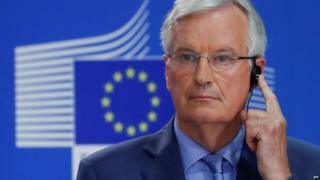 The BBC's Katya Adler said there was a suggestion EU leaders might be preparing to give Mr Barnier an updated negotiating mandate when they meet in Salzburg later this month, but that any changes were likely to be "pretty cosmetic" rather than a fundamental change in the EU's negotiating position. Mr Johnson caused controversy over the weekend with a column in the Mail on Sunday, calling the PM's plan a "suicide vest" around the UK, with the detonator in Brussels' hands. No 10 has said its plan was the "only one on the table" able to deliver on the will of British people while avoiding a hard border on the island of Ireland. Asked when Brexiteers outside of the government would come up with a detailed alternative, former Tory leader Iain Duncan Smith said he and others would be putting forward a "whole set of new ideas" in the coming weeks but it was up to ministers to mould them into a plan that would be approved by Parliament.